Every year, there are dozens of articles on "Oscar Snubs and Surprises." It's become a cottage industry, a quick and easy way to get a handful of clicks from a ton of folks whose favorite films weren't nominated, and it returns year after year because, well, the Oscars typically make a few mistakes. Don't get me wrong, it's pretty rare for an outright bad movie to win (though not impossible *cough*Crash*cough*), but typically, the Academy aims to please the totally middlebrow older white guys who make up most of its voting block. While it has led to some notorious snubs, they are often counterbalanced by the pleasant surprises. Not this year, though. In 2015, the Oscar snubs were the only story they left us to talk about. See, this year was widely considered kind of a boring one for nominations. Most of the categories were pretty easy to guess 2-3 months ago. Keeping in mind that the Academy never, ever awards more avant-garde films like Under the Skin and banishes entire mainstream genres from consideration most years, it isn't hard to figure out what sort of films and what sort of performances the Oscars typically reward, though one or two out-of-the-box films typically sneak in each year. But this year, there weren't really any pleasant surprises for film fans... and there were an awful lot of very, very telling snubs. This year, for example, was the first time since 1998 that there were no actors of color nominated for an acting award. Certainly not for want of options, despite Hollywood's strong limitations on what women and people of color can do within the system; 2014 was an incredible year for actors of color making a splash in big movies with excellent roles. 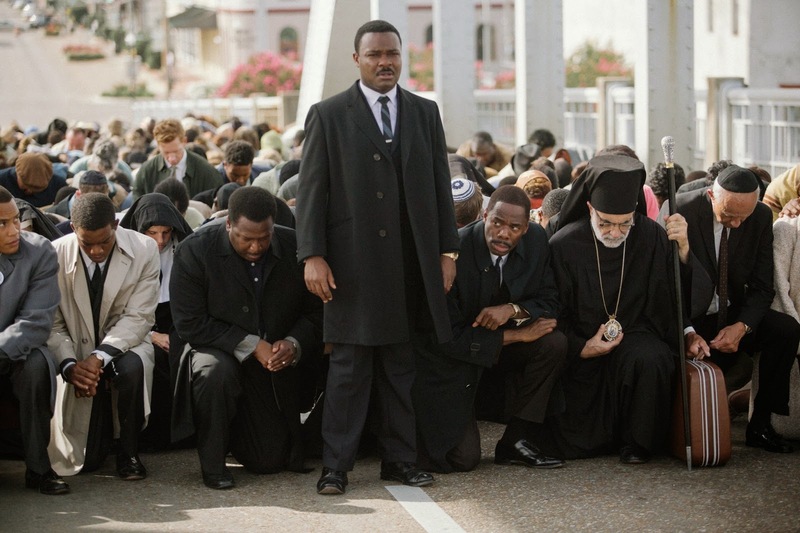 2014 was the year David Oyelowo took everyone by storm with his powerful portrayal of Martin Luther King in Selma, a nuanced, sophisticated performance that cut to the heart of a mythic figure in modern American history. It was the year Gugu Mbatha-Raw absolutely dominated Beyond the Lights, tapping into a deep well of melancholy to play suicidal pop star Noni as she discovers what she really wants out of her life. Oprah Winfrey should have been a lock for Supporting Actress because of her performance in Selma as the woman whose desire to vote set everything in motion. The spectacular Nightcrawler, which got damn near shut out, gave us an excellent, grounding performance from Riz Ahmed as Jake Gyllenhaal's partner/pawn. Hell, popular critical punching bag Tyler Perry was pretty damn strong in his supporting role as a slick-but-sleazy attorney in Gone Girl. Speaking of Gone Girl: This marks the first time in 15 years, since the year 2000, when not a single woman was nominated for a writing or directing award. Gillian Flynn was a big favorite for her pulpy, relentless Gone Girl script, adapting her own incredibly popular novel for one of the Academy's favorite mainstream auteurs. Gina Prince-Bythewood wrote and directed the best Hollywood romance in years in Beyond the Lights, finding a lot of heart in the backstage showbiz melodrama, a genre that's all but vanished in the last couple decades. Ava DuVernay made the definitive Civil Rights biopic in Selma, a searing portrayal of the necessity of protest in a functioning democracy. Gillian Robespierre's attention-grabbing comedy Obvious Child would have fit well in the list, a risky, ambitious comedy about abortion. Jennifer Kent wrote and directed the most well-received horror movie in probably a decade with the sleek, smart, scary The Babadook, a movie plenty of outlets are calling an instant classic. But the Academy has a tendency, as I said, to vote for themselves, and the Academy is overwhelmingly old, white, and male. In a year dominated by digital attacks on women with GamerGate and the Fappening and physical attacks of young men of color in New York, Cleveland, Ferguson, and beyond, the Academy seemingly gathered all its toys and curled up in a little ball on its bed, wanting desperately to be comforted rather than confronted by America's legacy of racism and sexism. The Best Actor nominations are full of actors playing (white) authority figures like Stephen Hawking, Alan Turing, and Chris Kyle in films that minimize their most controversial aspects; Selma, unfortunately, forced viewers to confront something complicated in the lives of Martin Luther Kind and Lyndon B. Johnson, and was punished accordingly. The acting awards overwhelmingly went to actors mimicking real, public figures, reducing the complex art of acting to a series of slightly-better-than-Saturday Night Live impressions. Is it because of the ease of seeing "This is like that person; therefore, this is a good performance," that drew the awards, or is it the comfort level, the yearning for the rosy past, a simpler time that never really existed at all? Obviously, I can't know what influenced the votes of all these Academy members. All I can do is look at the results, look at what they left out and what the rewarded and contemplate the patterns. But this was the whitest, most masculine Academy Awards line-up in twenty years, and I can't help but feel like that's saying something. This is the year of the comfort vote, the year of "What made me feel good?" instead of "What made me excited to see movies?" It's the year of self-congratulation - for what? no one seems to know - instead of the year of growth. 2014 was a good year for movies. It was a truly abysmal year for Oscar nominations.